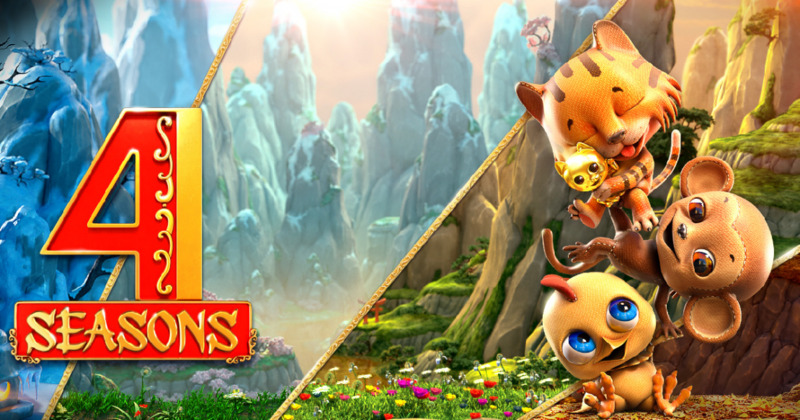 4 Seasons is a soothing 3D slot game powered by BetSoft featuring the good things that can come in each season. Released in 2016, this slot game is set in the vast mountainous regions of China. 4 Seasons has 5 reels and 30 pay lines and it takes players to an amazing journey through time represented by the Chinese Zodiac signs. All the 12 animal zodiacs are used, each represented by a cute wide-eyed 3D avatar that really looks like a novelty plush toy. After every 30 spins, each animal shall turn Gold and give you a 10x reward! The animal signs adjacent to the Golden animal will become Silver and give a 5x reward, while the 3 animals left and right of the Silver animal will pay 2x. With a realistic and vibrant backdrop that changes per season, you will definitely feel relaxed as you enjoy the 4 Seasons slot game which features multi-reel block combos designed to boost your wins, Golden Cat Wilds and re-triggerable Yin & Yang Free Spins. The max win in this game is an amazing 750,000 credits. If you are fascinated with the 12 animal zodiac signs of the Chinese calendar, then you will definitely love playing the ever-changing 4 Seasons slot game! Online casinos offering this game: BitStarz, Videoslots, LeoVegas, ComeOn! 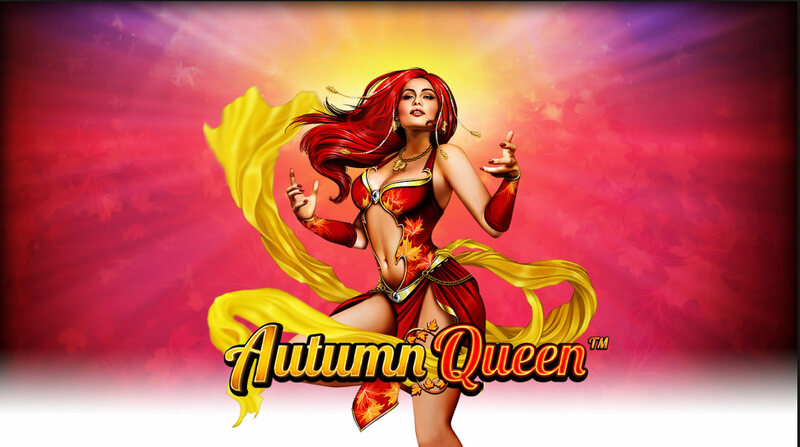 Autumn Queen is an autumn/nature-themed slot game released in 2016 by Novomatic. Aimed for those patient players with big bankrolls, this high variance slot game is all about the lucrative Autumn Queen Bonus feature. Its graphics have stayed true to the Novomatic style. Symbols include bears, deer, falcons and playing cards (10, J, Q, K, A) are seen on the reels. The beautiful but fierce red-haired Autumn Queen herself is the highest-paying symbol here, rewarding you 500x your stake if you get 5 of her symbols on a payline. The Autumn Queen is also the Wild symbol. Get 5 of the Crystal Ball scatter symbols on a payline and you get to play the Autumn Queen Bonus feature. You start with 5 Free Spins but every extra Crystal bonus gives you additional 5 Free Spins, and if you keep at it, you can get up to 80 Free Spins! 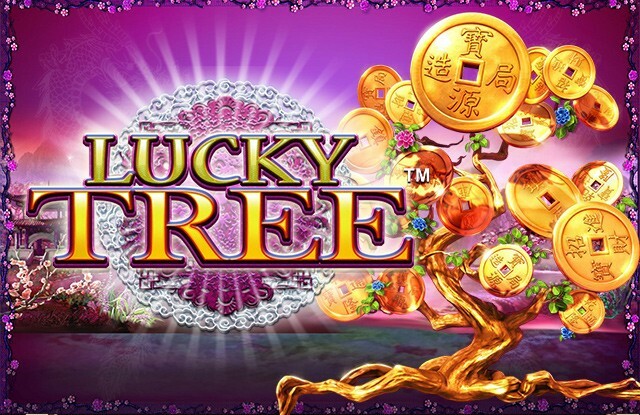 Lucky Tree is a 5-reel, 30-fixed payline slot game launched in December 2016 by Bally, a subsidiary of Scientific Games company which has been around since the 1970s. Lucky Tree is themed mainly on the Chinese myth of the money tree. In ancient China during the Han Dynasty, the mythical Sun tree was decorated with gold coins and became a symbol of nobility, affluence and auspiciousness. Money trees have been excavated by archaeologists in the tombs from the Han Dynasty, made from bronze and green ceramic. It is believed that when the deceased passed on to the next world, they could use the money for their journey. Today, the money tree and its lucky coins threaded in red ribbon are believed to bring prosperity and riches to one's life if it is placed inside a strategic spot in the home or workplace. In the slot game, you will see an extravagant-looking screen filled with gold embellishments on a purple-hued landscape and of course, the Lucky Tree teeming with gold lucky coins in its branches on the right side of the reels. Asian-themed lucky symbols (Lotus, Bamboo, Bonsai tree, Koi fish, Tortoise, Lucky Frog with coin in its mouth) along with card deck symbols are used on the reels. This game packs two different Wild symbols: a Dragon and a Lucky Coin. Other special symbols in the game include the Fortune Cat and the Yin & Yang symbol. Three Fortune Cats will activate the Lucky Tree Bonus Game. At the start of the bonus game, you pick one of the shown 3 spheres. Click a sphere and it will show a number you will get for the actual bonus game. You can get 6-12, 14 or 15 picks. After the number of picks is shown, a 5x6-sized area filled with cards is displayed. Behind the cards are various symbols related to the Chinese animal zodiac. The symbols include a snake (lowest payout), tiger, pig, monkey, and the Fortune Cat (biggest payout). Try to find at least 2 same symbols and if you do, you get all the rewards! Three Yin Yang symbols on reels 2, 3, and 4 will activate the Lucky Tree Free Spins, giving you 10 Free Spins. If you land 3 more Yin Yang symbols on the reels, you can retrigger the Free Spins bonus. After every free spin, you will notice the Wild Coin Mystery Feature. This feature activates when the Lucky Tree on the right side of the reels shakes and drops some of the coins on the reels. Around 2 to 7 golden coins will appear at random on the reels and cover the other symbols. These covered symbols will then act as Wild symbols. During Free Spins, the Wild Coin Mystery Feature activates after each spin and will give you at least 3 Wild symbols on the reels! Seasons by Yggdrasil is a 5-reel, 20-payline slot game launched in 2016. 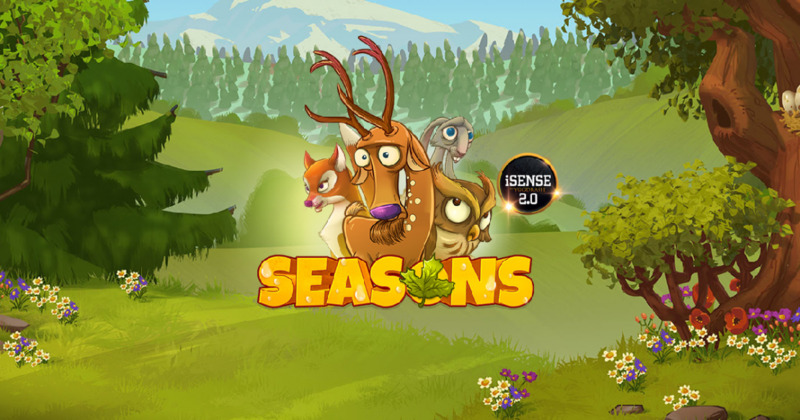 As its name implies, this particular game features all four seasons, with a cartoon-looking animal functioning as the Wild symbol in each season. Delve deep into the forest and make friends with four Wild animals that introduce you to different winning features in each of the four seasons! The game has 4 game modes, 4 wild features, and 4 free spin modes! It has 9 regular symbols that pay if 3 or more are in a win line. After 10 spins have been played in a season, the game will switch seamlessly to the next wonderfully-designed season once a bet is placed. Of course, the player can decide which season to start first and after 10 spins are done, the game switches automatically to the next one. Activate the Free Spins mode with 3 or more Scatter symbols represented by an acorn with three oak leaves. You can win 7, 15 or 30 free spins. If the Free Spins mode was activated in the Spring season, then all Free Spins will be spun in there. Each season has its own wild animal: the hare, owl, deer and fox. In the Free Spins mode, these four animals will function as a Wild (Fox is Wild in Spring; Deer in Summer; Owl in Autumn; and Hare in Winter), and they appear more often in the Free Spins! Also, each Wild has its own unique power-up. The Fox Wild symbol will award you a random multiplier from 2x to 10x. The Deer Wild is an Expanding Wild that turns 4 squares around it into more Wilds. The Owl Wild will often give you a free re-spin when it lands on the reels. The Hare Wild will duplicate itself to another spot. It has a max pay of 30,670 coins with a 96.1% RTP. Sakura, the Japanese cherry blossom, is the national flower of Japan. One of its variants, the winter sakura, begins to bloom in the autumn and continues to do so sporadically all through winter. Therefore it makes sense to include Sakura Fortune as one of the autumn-themed slots in our list! 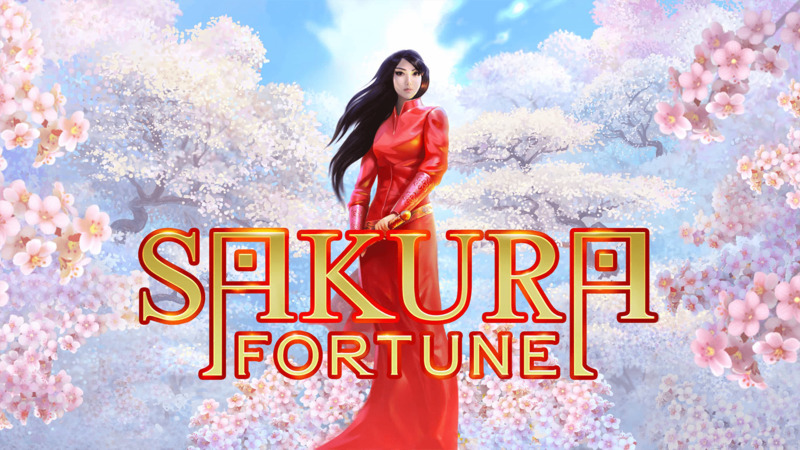 Sakura Fortune by Quickspin is a 5-reel, 40-payline slot that takes you to an enchanting realm of blooming sakura trees, items that symbolize fortune, and this slot game actually has a story built into it - follow the perilous journey of a beautiful raven-haired Japanese princess as she fights against evil emperors with her mystic sword. The slot game features Sakura Fortune Respins, a Mystery Nudge feature, and Free Spins. Sakura Fortune also marks the debut of Quickspin's innovative and brand new Achievements Engine that generates specific tasks for you to complete in the game in return for tokens that can be cashed in to get access to the game feature. Sakura Fortune Respin - two fully stacked Princess symbols will activate the Respin feature. The total respin number is dependent on the number of Wilds seen on the reels when activated. Extra Wilds give more respins and when no more Wilds appear, the feature ends. Mystery Nudge - If two or more Princess Wild symbols land any time, there is a chance they will nudge into a full stack. Free Spins - Three or more Scatter symbols consecutively appearing from left to right on a single spin shall activate the Free Spins feature. During Free Spins, when a Princess Wild symbol lands on the reels it will become an Expanding Wild, covering the entire reel and will be stuck that way until the end of that free spin. Also, it will award an extra Free Spin. « More slotmachines guides Article last updated: Monday, September 17, 2018.